In this Episode I discuss how to perfect your LinkedIn profile. Take a moment to grab a pad and pen and take notes on the tips and tricks I share with you today. Then go back and update your LinkedIn profile. These simple changes you make will leverage your profile and allow you to stand out among other business professionals. Feel free to connect with me on LinkedIn right here so I can see what you’re up to and how I can help! 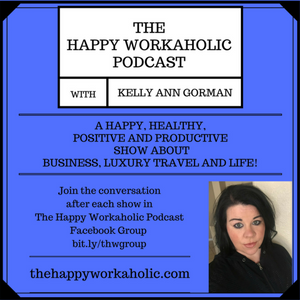 Let me know what you think of LinkedIn and if there are any questions I can answer for you in The Happy Workaholic Podcast Facebook Group. This is where all the conversations will continue after each show! We now have one place for all of us to be able to interact with one another. Pretty amazing? Right! I hope you will join us in the fun. This is where you can send me your show ideas too!